If you love anything chocolate or coconut, this recipe is for you! 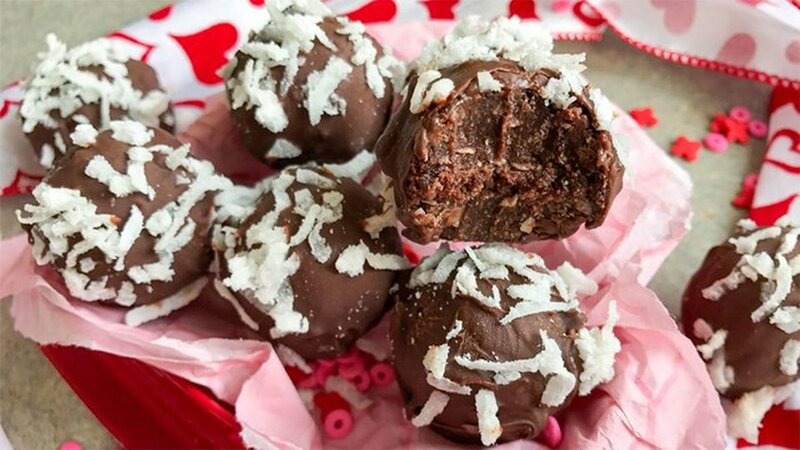 These chocolate coconut protein truffles pack a protein punch and lots of fat-burning MCTs from the coconut oil. Did I mention these little morsels are dark, decadent, and delicious? Combine truffle ingredients in a small mixing bowl. Mix until a thick dough forms. Add a teaspoon of milk if the dough is too crumbly, or a teaspoon of coconut flour if it's too sticky. Roll dough into eight 1-inch balls (1 tablespoon each) and place in the freezer on a plate. Melt dark chocolate chips and coconut oil using a double boiler. If you don't have a double boiler, simply fill a small saucepan 1/3 to the top with water, nest a small metal mixing bowl (or another saucepan) inside and bring water to a simmer over medium heat. Stir chocolate as it begins to melt. Roll each ball in melted chocolate one at a time and immediately sprinkle with shredded coconut (if desired). Place in the fridge for 5 minutes to harden the chocolate. Enjoy! Store in the fridge up to one week or in the freezer up to one month.